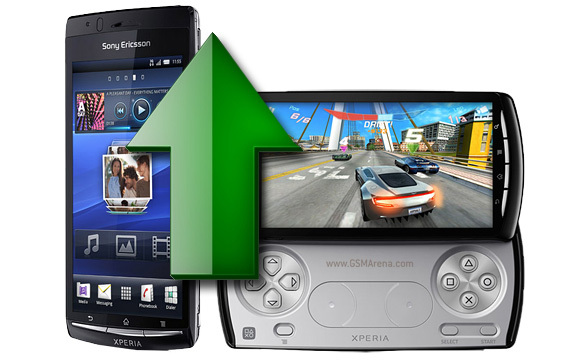 Sony Ericsson is pushing out an update for the Xperia Arc and the Xperia PLAY. It's a minor update, the Android version is still 2.3.3, but it brings a few useful changes like stereo sound in videos, landscape mode in the homescreen and a few others. The homescreens of the Xperia Arc and the Xperia PLAY will both work in landscape mode after the update and there's a selection of new themes available as well. The other big change is the sound in videos - both switch from mono to stereo sound (other parameters of the videos are unchanged). Next up is DLNA support so you can play media from DLNA-enabled devices. Finally, there's xLoud, which improves the performance of the loudspeaker when playing music. The availability of the update depends on the market and your operator - to check for the update, you can go to Settings > About > Software update. Or you can use Sony Ericsson's PC Companion to update your Arc or Play.